We are a family-owned, custom framing business serving South Florida from our framing factory outlet in Boca Raton. Owners Howard and Marvin Rosenbaum have been in the framing industry since 1979, and the high quality of our framing services reflects their passion for excellent craftsmanship and the importance of customer service. Take advantage of our framing staff’s average 15 years of experience to provide you with the best custom framing options to meet your needs. With our services ranging from custom art framing to sports memorabilia, diplomas, wedding photos and more, you will find the perfect solution for your next framing project at Rosenbaum Framing. Mon.–Fri. 8:30 a.m.–5:30 p.m. | Sat. 10 a.m.–5 p.m. Your people showed me choices, gave a fair price, and then they delivered what they promised: a quality product. 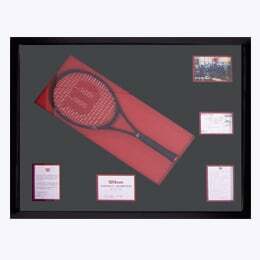 Custom framing for art, photos & memorabilia of all types and sizes. Whether it’s a valuable work of art, poster, wedding photo, ketubah, baby picture, diploma, sports jersey, autograph or a 3D object, we can frame it! We have an extensive variety of mouldings, frames, glass and mats and an expert team of professional framers to create the perfect frame. Large-volume framing services for hotels, health care facilities, restaurant chains, corporations, gaming casinos, cruise ships, government and other institutional projects. Our commercial clients are assured the same personal attention, expertise and museum-quality craftsmanship as any individual who comes in our shop. Our experienced staff can also provide a full range of related services from initial consulting to final installation. We do so much more than just custom framing! Our team is also experienced in canvas stretching, glass and plexiglass replacement, digital printing, fine art consulting and other framing and art-related services for retail and commercial clients. Call us today to learn more!